The Fortress of the Bear features several orphaned Alaskan brown bear cubs of various ages in a man-made natural environment. This is an exciting place to get a close-up look at the playful side of one of Alaska’s many incredible inhabitants. The mission of the Fortress is to provide an alternate option for urbanized cub orphans to live and grow instead of simply getting rid of them. The Fortress has a raised viewing platform to look down onto two separate holding environments for the bears. On one side, there is a large pond for the bears to swim in, and the other side is set up as a natural playground for the bears. Each side boasts about 3/4 of an acre and up to 17 foot high walls. There is plenty of room for these creatures to live a healthy outdoor lifestyle. The owners of the Fortress of the Bear are very knowledgeable about the bears habits, diet, needs, and receive donations year round of fish, fruits and vegetables, and other foods. They can tell you all about the bears they house, and even will show you some of the fun tricks they have taught the bears. The Alaskan coastal Brown bear is closely related to the well-known Grizzly bear. They are incredibly smart and grow to massive sizes in just a short time. 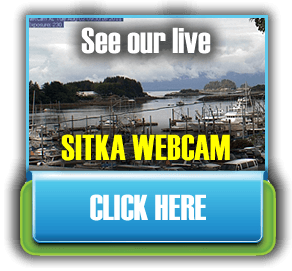 This is a must-see during your visit to Sitka! Snack time…it is entertaining to watch the owners show off the tricks they have taught the fun-loving Brown bears!